When it comes to attracting talented IT professionals, company culture is as important as salaries. 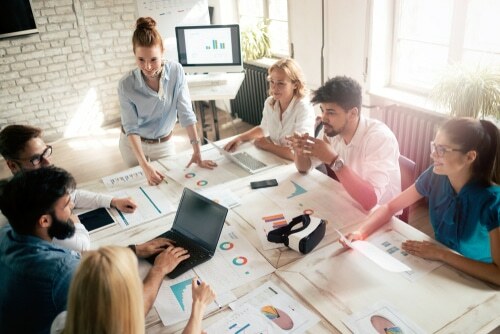 According to several IT employers who attended the recent BusinessCloud ‘Tech Recruitment Timebomb’ event in London, recruitment is a leading challenge for tech companies, and the right company culture can help attract the best talent as much as competitive salaries can. Speaking at the event was Tim Broughton, founder and CTO of the refer-a-friend marketing platform, Mention Me. Broughton spoke of how recruitment is his number one challenge. “The market for tech talent is out there, but it’s a candidate-driven market where all the good engineers have great jobs already, so it’s a case of trying to persuade them to move away from those,” Broughton told delegates at the event. To attract the right talent, employers, particularly within the tech sector, which are struggling to fill vital roles with the right talent, are having to build their brand and prove they offer a culture that people would want to work in, develop their career, and thrive. Millennials, a tech-savvy generation, are playing a significant role in raising the value of culture in the recruitment process. A study in 2016 showed just how important the millennial generation considers an inspiring, motivating company culture that offers a greater work/life balance is when choosing who to work for. The study by Fidelity showed millennials would be willing to take an average pay cut of $7,600 if they could work somewhere with better company culture that prioritises greater work/life balance, where they could improve their career development and find more purposeful work. By offering an inspiring and rewarding company culture that makes the interests and career development of employees a priority, tech employers will not only help attract and retain the best talent, but they will help boost productivity, creativity and innovation within their workforce, by creating a happy, content and loyal set of workers, who are keen to please. Adria Solutions are specialists in finding tech firms and companies with IT needs throughout the North West and beyond with the right candidates for the job, first time round. Please get in touch with our team of professional, experienced and friendly IT recruiters to discuss your recruitment requirements and how Adria can find you the right IT talent to drive your business forward.